Why Choose Blue Ridge Veterinary Services? Make sure that you use a clean plastic container. Your vet may provide you with one or you may use a clean margarine dish or something similar. A pie plate works best for female dogs. Keep in mind that a fresh specimen is best. Anything more than 12 hours old will not provide accurate results. If you can’t bring in the specimen within an hour of collecting it, make sure to place it in the refrigerator. Before collecting a specimen from a male dog, make sure you know which leg the dog prefers to lift, or if he prefers to squat. Wait for the dog to begin to urinate. Place the collection container into the stream of urine until an adequate amount has been collected. This is called a mid-stream sample. 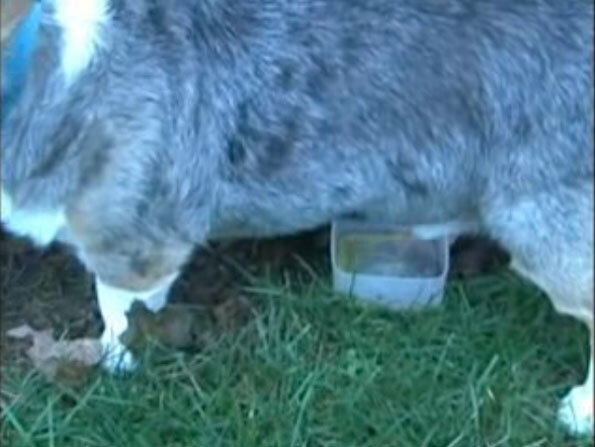 Place a lid on the container and bring it to your vet as soon as possible. © 2019 Blue Ridge Veterinary Services.